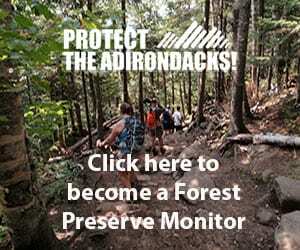 The Adirondack History Museum is starting a campaign to gather as many Adirondack 46er summit canisters as possible to incorporate in their Hiking the Adirondack High Peaks exhibit. 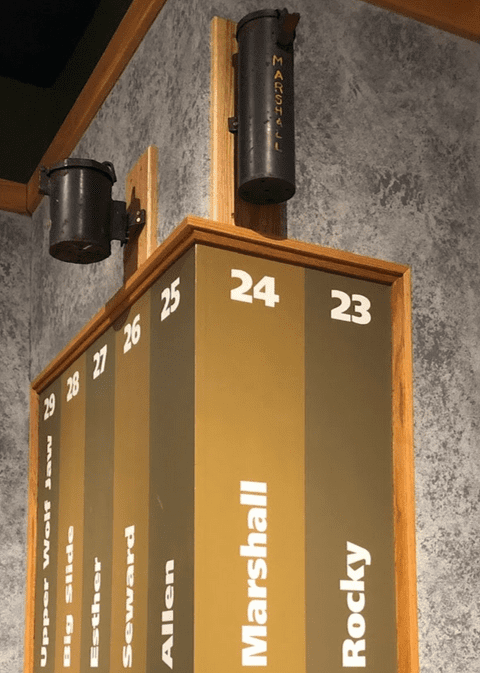 The Museum currently has four canisters, from Seward, Marshall, Santanoni, and Esther. 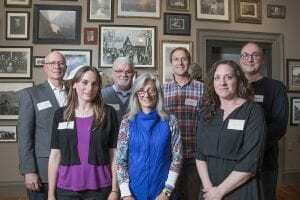 Their goal is to be the repository for the entire collection, to be permanently displayed at the Adirondack History Museum. » Continue Reading. 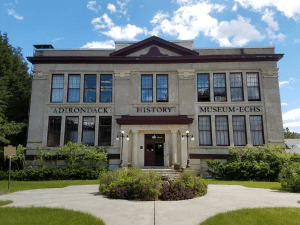 The Adirondack History Museum has announced their annual Historian’s Day event has been set for Friday, October 12th, from 10 am to 2 pm. 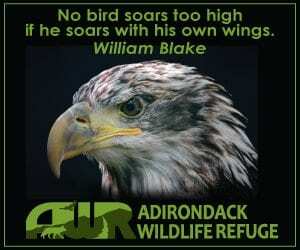 This years theme is “Researching Diversity in the Adirondacks” and will feature three guest presenters. » Continue Reading. 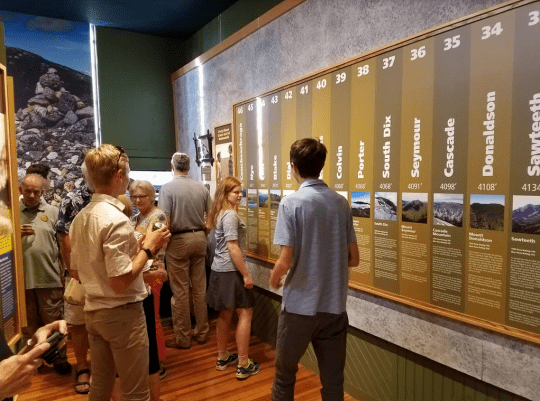 The Adirondack History Museum celebrated the grand opening of its “Hiking the Adirondack High Peaks” exhibit on July 20 with over 130 people attending a ribbon cutting and reception. Museum staff and volunteers spent over 1,000 hours developing the exhibit. The interactive permanent display explores High Peak’s hiking history dating back to the mid-19th century. 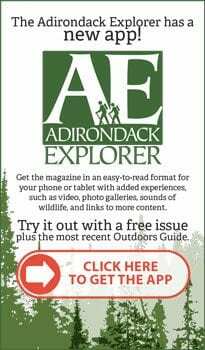 The exhibit highlights the work of the Adirondack Forty-Sixers, hiking pioneers, old time guides, and other historic and contemporary figures, such as Adirondack 46ers historian and founding member Grace Hudowalski. » Continue Reading. 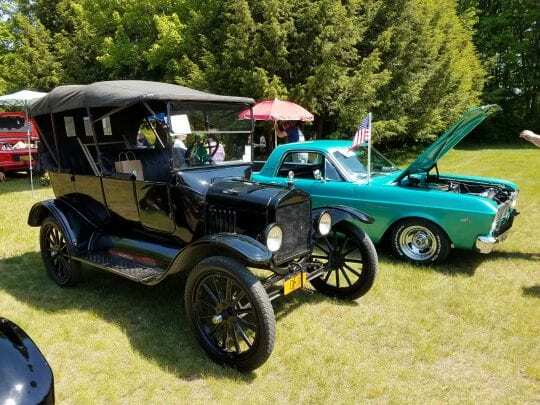 Adirondack History Museum’s 7th Annual Antique and Classic Car Show has been set for Saturday, June 9th from 11 am to 2 pm. Car collectors and enthusiasts will be on hand displaying restored and carefully maintained vehicles such as muscle cars, vintage roadsters, hot rods and more. Admission is free for spectators. These vintage cars will be exhibited on the museum grounds on Hand Avenue in Elizabethtown. » Continue Reading. 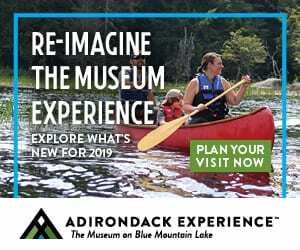 The Adirondack History Museum is set to open for the 2018 season on Saturday, May 26th with a seasonal exhibit reflecting on World War One and a new permanent exhibit, Hiking in the Adirondack High Peaks. The exhibit, Over There: Local Boys Go to War, examines the impact of World War I on the men of the Adirondacks. The exhibit features local stories and experiences presented through photographs, artifacts, and ephemera. » Continue Reading. The 63rd Annual Greens Tea, presented by the Elizabethtown-Westport Garden Club, will take place on Friday, December 1st, at the UCC Parish Hall, 7580 Court Street, Elizabethtown, from 11 am to 2 pm. 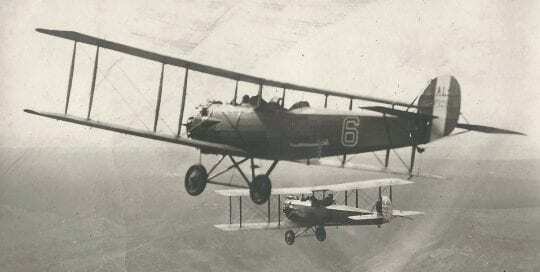 A light luncheon of soup, sandwiches and dessert will be served from 11:30 am to 1 pm, for a cost of $6. One of the highlights of the holiday sale is decorated wreaths, which are priced at $25. Wreaths sell out quickly, so people are encouraged to arrive early. Holiday crafts and gifts sold by local vendors provide additional gift giving selections. » Continue Reading. 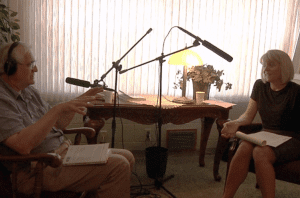 The Adirondack History Museum in Elizabethtown will present an Oral and Video History Workshop for its annual Historians Day on Friday, October 13 from 10 am to 4 pm. Dr. Gerald Zahavi will offer participants basic and practical instruction for undertaking digital audio and video oral history projects. The main emphasis is on high quality, low-cost options for individuals and institutions. » Continue Reading. The Adirondack History Museum will conclude its summer lecture series with “Tales from the Black Woods” with Amy Godine on Thursday, September 7. 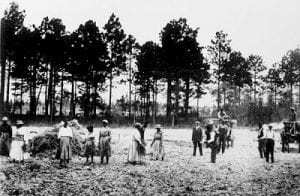 Godine’s lecture explores Essex County stories that underscore the deep appeal of land ownership and farming for black families before the Civil War, and celebrates the richness of the 19th-century black Adirondack experience. 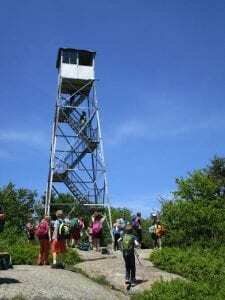 The Adirondack History Museum will continue its summer lecture series on Thursday, August 24 with “History of Hiking in the High Peaks” by presenter Sharp Swan. Swan is a local historian and board president of the Essex County Historical Society. 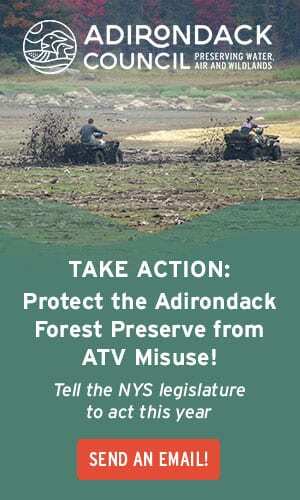 The High Peaks of the Adirondacks little resemble the mountains that settlers first gazed upon. 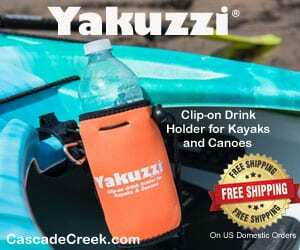 Man has radically changed the landscape by logging all but 5 percent, starting fires destroying thousands of acres, and now loving the mountains to death. This lecture will explore these stories as well as the lives of guides, hurricanes and more about the High Peaks. » Continue Reading. 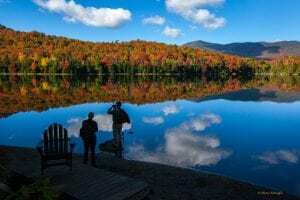 The Adirondack History Museum will continue its summer lecture series with “Photographing the Adirondacks” with Nancie Battaglia on August 10th. 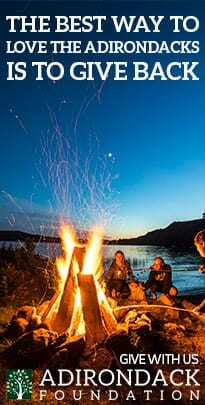 From the pages of Adirondack Life and the Adirondack Explorer to worldwide editions of Sports Illustrated, to the New York Times and National Geographic, Battaglia’s visual stories capture human interest features, breaking news, peak action sports and striking scenery. 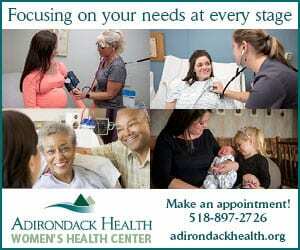 An active outdoor enthusiast, she is an ADK 46er twice. » Continue Reading. The Adirondack History Museum will host a walking tour of the Crown Point Iron Company ruins on Saturday, July 29. Local Historian and author Morris Glenn will lead the tour. One of the highlights of the tour will be discussion on the Penfield Forge Project. The projects includes plans to rebuild the replica of the first iron forge in Northern New York that was originally at Frontier Town. In 2016, the replica forge was moved to the Penfield Museum in Ironville. 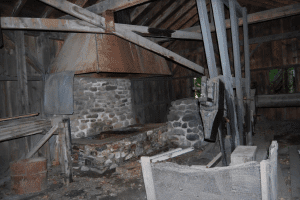 The five-year project will recreate a facsimile of a working cold-blast iron forge that Major Skene operated in the initial colonial period prior up to the outbreak of the Revolutionary War. The Skene forge was captured by the Colonial forces on Lake Champlain and then used by Benedict Arnold to build the first American Navy. » Continue Reading. The Adirondack History Museum will present a special screening of “Colvin: Hero of the North Woods” on Thursday, July 6 at 7 pm. Film director Bill Killon will be on hand to introduce his new 45-minute documentary. 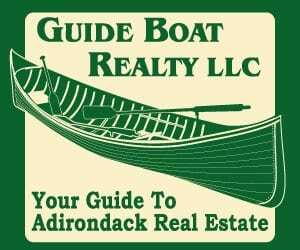 The film tells the story of Verplanck Colvin, who explored, surveyed and mapped the northern reaches of Upstate New York from 1872 to 1900. 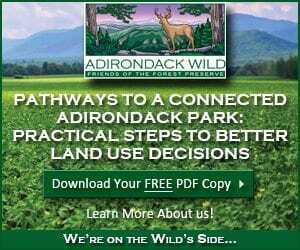 To protect the forest and watersheds, at a time when the idea of conservation was in its infancy, he proposed a state park for the Adirondack region of New York. » Continue Reading. Until 100 years ago, women did not have the right to vote in New York State. That changed on November 6, 1917, when New Yorkers voted to give women the ballot. 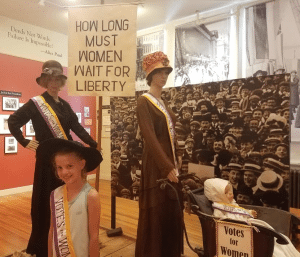 The Adirondack History Museum is marking the occasion with “Adirondack Suffragists: 100 Years of Votes for Women,” a multimedia exhibit highlighting the national, state and regional aspects of the movement. Though preceded by many western states in state-level action, New York was nonetheless a major national battleground in the fight for women’s rights in general and in the struggle for the passage of a national woman’s suffrage amendment – one finally ratified in 1920 as the 19th Amendment to the U.S. Constitution. » Continue Reading. 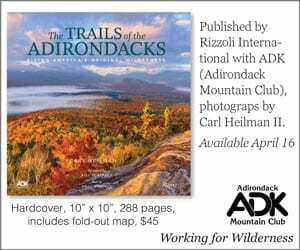 “Our way of seeing and being in the Adirondacks has changed in many ways since the early days of settling and visiting the region. 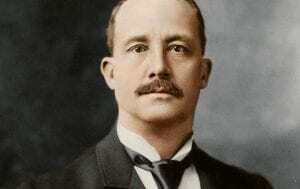 In the late 19th and early 20th centuries photography was about documenting progress and presence. Photographers today are seeking silence and solitude,” Exhibit Curator Dan Keegan said in statement sent to the press. 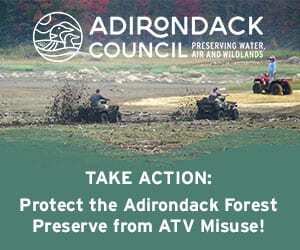 The Adirondack History Museum will present its Adirondack Fire Tower program for families on Saturday, July 30 from 9 am – 3 pm. 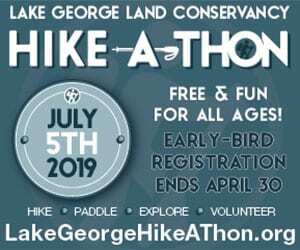 The program features a presentation by museum educator David Thomas-Train at the museum building, and will include a hike up Poke-O- Moonshine. The free program for families explores the history and ongoing role of fire towers in regional land stewardship. 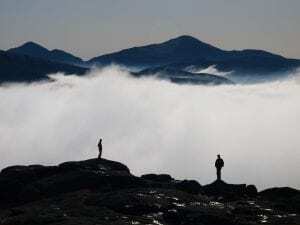 Participants should bring a bagged lunch, and be prepared to hike the mountain. 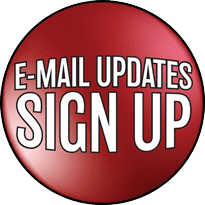 The program is recommended for students in the fourth to eighth grade level. » Continue Reading.